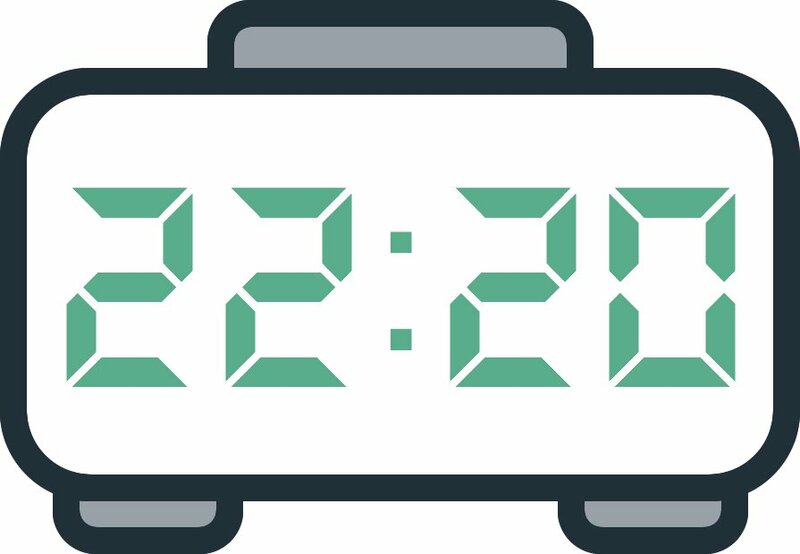 When we talk about the phenomenon of mirror hours we are referring to the moments when our eyes come across a time with two or three identical figures like “22:20”. These hours have inspired several possible theories which often relate to our subconscious mind. They can have several different meanings and can predict many different things. It is up to us to find out which meaning is true. It could be that our guardian angel is trying to get in contact with us, that an entity is trying to talk to us, that someone is thinking about us, that this is the answer to something we have been thinking about, or that it is just a reflection of our thoughts or our current psychological state. If you are curious about the triple mirror hour 22:20 because you have been seeing it regularly over the past few days, try to find out what it means straight away because there is surely an important message hidden within it which relates to your life. To figure out what this could be you can use an interpretation of the guardian angels or an analysis of numerology. Pay attention as you read what comes next and you will find out the true meaning of the triple mirror hour 22:20. The guardian angel Habuhiah represents fertility and healing. Through the triple mirror hour 22:20 he is indicating that he will give you an increased fertility to allow you to have children more easily. Not only this but he also makes the ground fertile as well and thanks to him all of your harvests will be prosperous. Habuhiah is the angel of farmers and agricultural expertise. By his side, nature is made fertile and the Earth is forever fruitful. Habuhiah also wants to let you know that he is able to cure illness and provide people with an iron constitution. He will be a valuable source of support if you work in the field of medicine or therapy. He will even help you if you carry out energy, metaphysical, or spiritual healing or treatment. What's more, he will protect you from transmitted diseases and infections of all kinds. This guardian angel is your patron and protector and is telling you that he will give you the ability to reshape and regulate your desires. He will allow you to adjust and rebalance the discrepancies and disparities between your thoughts and emotions. Under his guardianship you will be able to once again find harmony after becoming desynchronized. He will also help and support you in adapting to God’s standards. Beyond this, through the triple mirror hour 22:20 Habuhiah is telling you that he supports your love of nature. He reminds you of your love for the countryside and wide open spaces. By his side you will not encounter pollution, poverty, lack of resources, insect attacks, or more. Through this triple mirror hour the angel will be your support in the treatment of all health problems such as cancer, anorexia, bulimia, dyslexia, chills, cysts, burns, acne, dermatological problems, migraines, kidney problems, dental problems, problems with your lungs, and more. He will be beside you throughout your battle with the illness affecting you. What does 22:20 mean in Numerology? 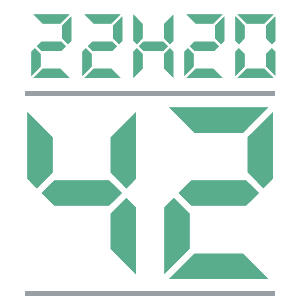 After calculation the triple mirror hour 22:20 gives the number 42. The numerology behind this number brings good vibrations and symbolizes love and happiness. Through this hour the number is indicating that it will facilitate communication at the heart of your relationship with your partner and generate true love and kindness. You are the kind of person who loves to be surrounded and you dislike solitude. You enjoy living within society. This angel number also reminds you that you are a sensible, generous, open-minded, friendly, and diplomatic person. These positive qualities will foster the close relationships you have with friends and others that you will need in order to find fulfillment in your daily life. However do not disrupt your balance by always wanting to come to the help of your peers to the point that you cause yourself harm. 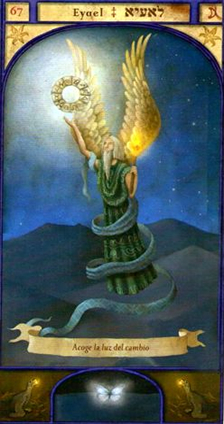 The angel number 42 asks you to follow your path with passion and to always keep your objectives in sight. When you do things that you love you put your whole heart and soul into achieving your goals. Above all do not be afraid because your guardian angel is there to advise you and help you each step along your path to allow you to find success. The number 42 encourages you to continue in your professional career. It pushes you to set up or learn how to implement your work as this will be necessary in order to construct the solid foundations you need to achieve the desired results and success at the end. Be aware that you already have everything you need to succeed, but should you need him your guardian angel will be there to give you a helping hand. In numerology the number 42 also seeks to warn you that you may face heavy responsibilities or be obliged to make sacrifices or forced commitments. To avoid this make sure to always make good decisions and learn how to weigh up the “pros” and “cons” of each situation as it appears. Any comment on the 22:20 mirror hour?